A "terrorist" shooting at the Canadian parliament on Wednesday. It was very limited in scope, so we might look for a Bloodbath Formula for the event chart that is also limited in some way. 1. Pallas quintile Pluto. Held in check because Pallas is conjunct the Sun. Without the Pallas-Sun conjunction I believe we would have seen a higher body count, and more than one violent public event. 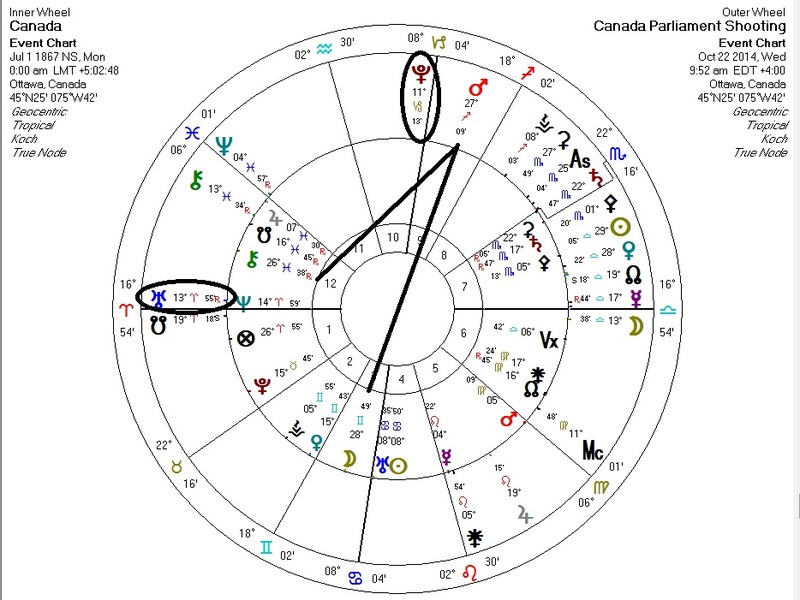 The Uranus-Pluto square rides across Canada's ASC and MC, suggesting upheavals at the national level. 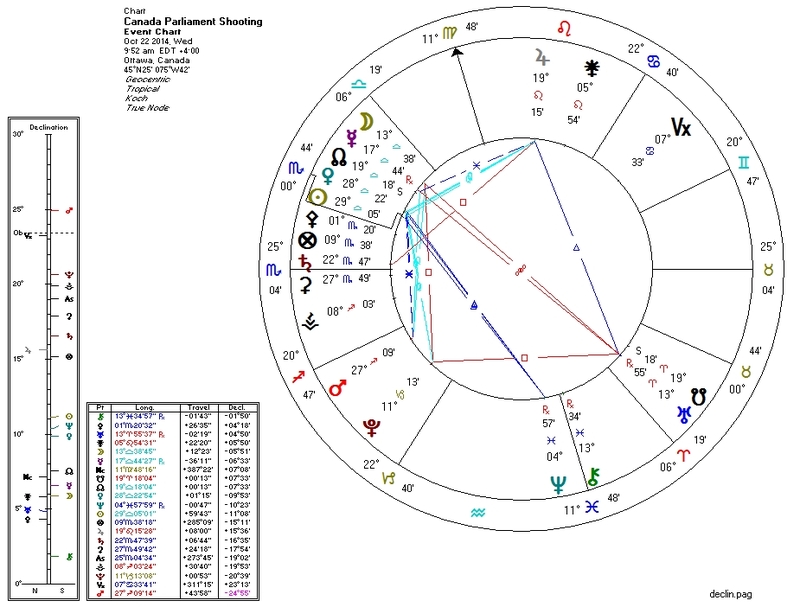 Transiting Mars in Sagittarius in the Ninth House (ideologically-driven action) attacks the Moon (ruling the Fourth House of the "homeland") and Chiron (injury). Transiting Mercury at the Descendant perhaps gives us information about "others" (in this case purported "jihadists").